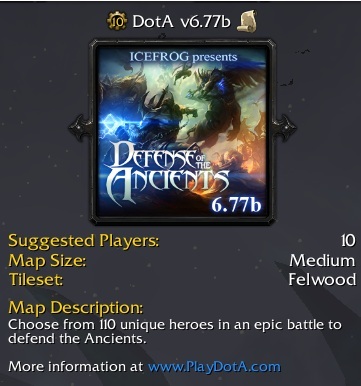 DotA 6.77b map by IceFrog. This map consists of bug some minor bug fixes and removes the Christmas effects inside the map. Description: IceFrog’s DotA series v6.77b map for Warcraft 3 Frozen Throne. DotA 6.77b AI will be available soon. After downloading the w3x file, put the map in Warcraft III\Maps\Download folder.